Taking a Holistic Approach to Investigating Broadband Needs | Strategic Networks Group, Inc.
SNG has been contracted by the State of Tennessee to uncover the current status of critical broadband infrastructure and its use statewide. The product of this effort will be a comprehensive plan and strategic recommendations to optimize the impact of broadband investments in Tennessee. SNG has partnered with NEO Fiber which will focus on the supply and adequacy of the actual infrastructure while SNG conducts a statewide utilization study to uncover gaps and opportunities to leverage broadband availability. The goal of this project is to optimize returns on broadband investments and benefit local communities across Tennessee, particularly rural areas and those that are economically distressed. Uncover gaps, barriers, and opportunities in broadband business and residential coverage across the state to help Tennessee identify priorities and enable legislators to make evidence-based decisions on needs and investments to maximize economic benefits and business growth that can be achieved through the deployment of robust broadband services. Assess the costs and investments needed. Investigate funding opportunities including public/private partnerships to provide Tennessee with a path forward to thrive in the 21st century, digital economy. Measure the targeted economic impact broadband has had and could have, especially in rural areas, in terms of new revenues, cost savings, new jobs, etc. SNG is thrilled to be able to partner with forward-looking states like Tennessee, embracing a holistic approach to broadband planning to deliver a better network and a better future. 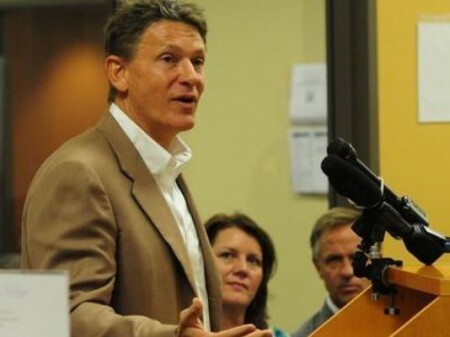 Tennessee’s Commissioner of Economic and Community Development Randy Boyd’s listening tour in 2015 spurred the study as many business and economic officials expressed concerns over Tennessee broadband access, especially in rural areas. As part of extensive community outreach within Tennessee to drive participation in our utilization study, a media blitz shed light on the issues within the state. Channel 10 news highlights interviews with citizens who detail their challenges with their current Internet connectivity. In this video, watch for one citizen’s colorful description of the “slow circle of death” as they wait for connectivity. SNG aims to help communities make the most broad-reaching and transformational impacts that broadband can bring to enable businesses, communities and regions to better utilize Internet applications and maximize broadband’s potential.